Is your child’s fidgeting and inattention just normal childhood behavior or could it be ADHD? Learn the signs that it might be time to have your child evaluated. “In general, it has to do with age and stage,” says Dr. Davenport. “Does your child behave like other kids his age?” For example, if your child hasn’t learned to sit still when all her friends have, it’s a sign that something may be up, Davenport says. Frequency, intensity, and duration also are clues. Children with ADHD show at least one, and sometimes all, of the three major ADHD symptoms: hyperactivity, impulsiveness, and inattention. And they show them more often and more strongly than other children their age or who are at the same developmental level. A child with ADHD will exhibit signs no matter the setting — the behavior is the same at home and at school. And the behavior will occur consistently over a long period of time. Boys with ADHD tend to exhibit the symptoms of hyperactivity and impulsivity more than girls with ADHD. 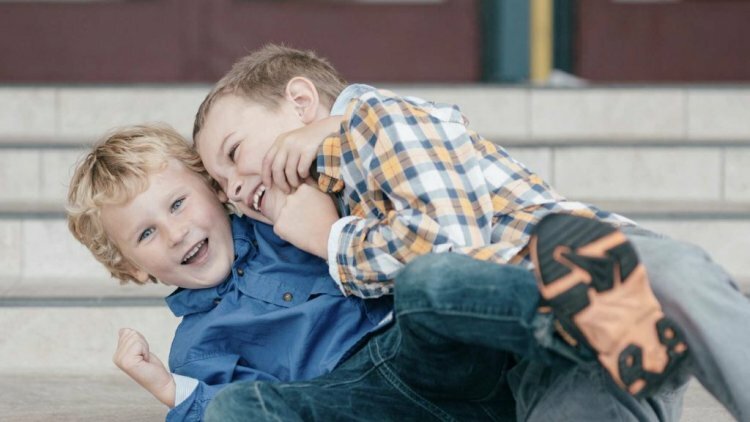 That may be why boys are diagnosed with ADHD three times more often than girls. Girls with ADHD are more likely to show inattention than hyperactivity, which is why they might be underdiagnosed, Davenport says. Fidgets or squirms almost all the time. Children with ADHD are constantly moving their hands, arms, feet, and legs. They squirm a lot. Can’t sit in the same place for any length of time. A common symptom of children with ADHD is that they have trouble sitting still, Davenport says. They may get up at times when they know they are expected to stay seated. Doesn’t learn from experience. “These are the kids that you find yourself saying, ‘If I told you once, I told you a thousand times,’” Davenport says. Runs and climbs excessively. In teenagers, this symptom is often described as restlessness. Can’t wait her turn. The child cuts in line and butts into games other children may be playing. Interrupts others. Children with ADHD have trouble taking turns speaking and often blurt out answers. When they interrupt, they don’t realize they’re doing it, Davenport says. Has trouble following directions, no matter how simple. Seems not to listen when spoken to directly. You may ask your child over and over again to clean up his toys or to brush his teeth, and he can’t focus enough to respond and do what you say, Davenport says. Loses possessions. The child often loses things needed for school or at home, such as toys, pencils, books, or homework. Is disorganized. The child can’t organize tasks or activities so that he can complete them. Is unfocused. She is reluctant to do things that require thinking, such as homework or schoolwork. Can’t plan ahead. For example, your child may forget to bring home the books he needs for homework. Is forgetful. She may frequently forget to bring her lunch to school. Is unable to focus attention on activities or details. Children with ADHD are likely to lose interest in what they’re doing after about 20 minutes, sometimes even sooner, Davenport says. They constantly go from oneactivity to another. Goes off in his own world. You might suspect your child has ADHD if, when he is climbing on the sofa or jumping on the bed, he goes off into a world of his own and doesn’t respond when you tell him to stop. Your child may appear to be daydreaming frequently. If your child exhibits these behaviors on occasion, it’s probably not anything to be concerned about. All children have times when they test their boundaries and don’t listen or appear uninterested, Davenport says. But if this list seems too familiar, if these behaviors are constant and persistent, and if they are affecting your and your child’s daily lives, you should consult a professional who can determine if your child has ADHD. If your child is diagnosed with ADHD, there is help available.